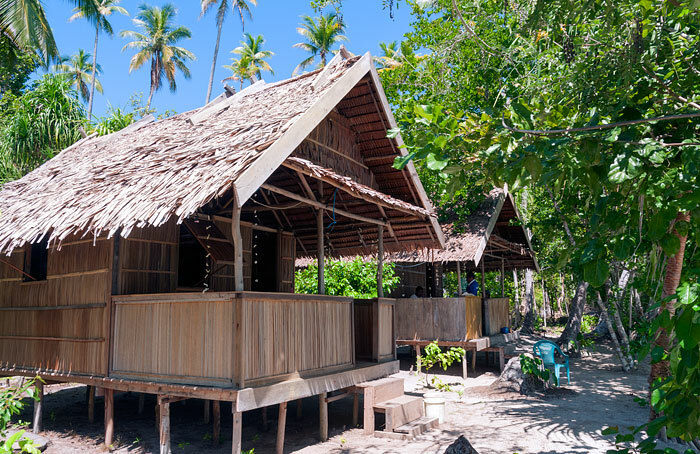 Nyanpun Amber Homestay has a fine white sand beach, three private bungalows and the excellent Kri north shore reef at the door. 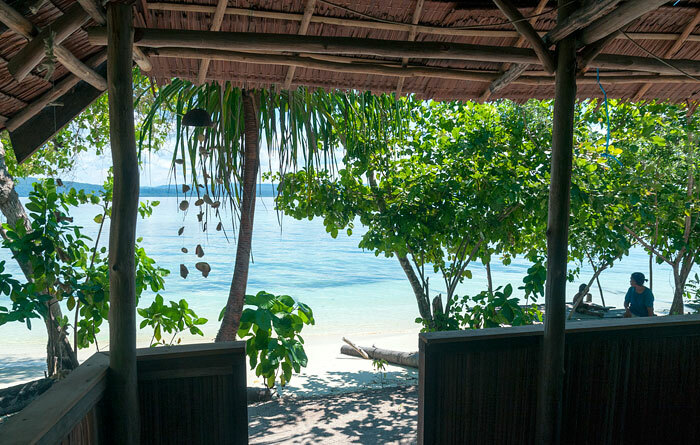 One bungalow is on the beach, and the other two sit just back from the edge of the beach in the shade of overhanging trees. All have enclosed verandahs with good sea views. 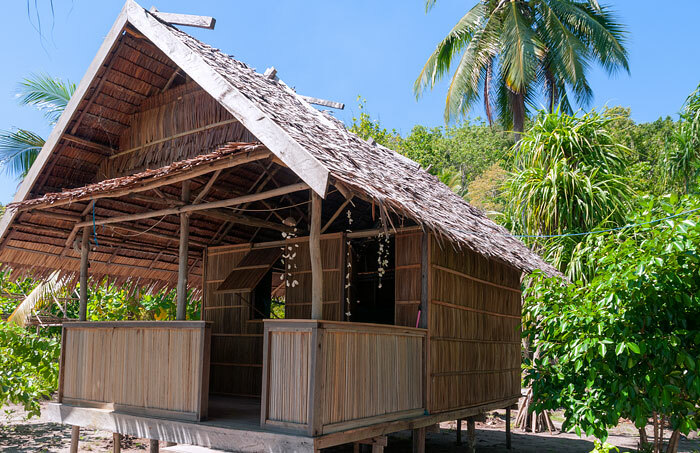 The bungalow bedrooms sleep two and have a small table and bench seat and the usual homestay bedding of a mattress on the floor with pillows, bolsters, sheets and mosquito net. Power outlets and a room light switch are provided. Nyanpun Amber Homestay hadn’t yet built a dining room when we visited in June 2016, so meals are currently served at the small table on each bungalow verandah. 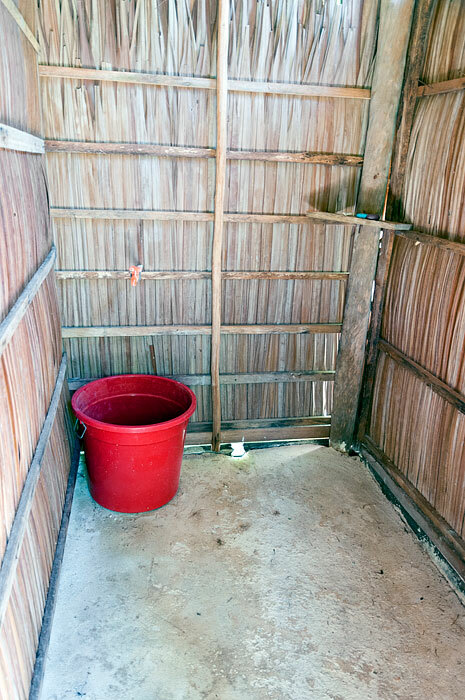 Guests share a two room bathroom building. A concrete floored dip mandi bathroom occupies one room and a western style toilet is in the other. Electricity is supplied by a generator which runs from sunset to midnight and Nyapun Amber receives a decent phone signal that can support a data connection. 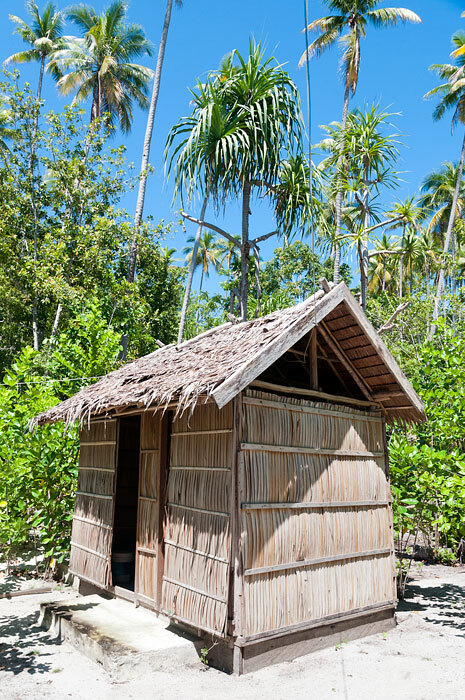 Be sure to bring any consumeables you consider essential, as the nearest village (Yenbuba on Mansuar) is about a twenty minute boat ride away and only basic supplies are available there. Be sure too, to take your inorganic trash away with you when you leave. 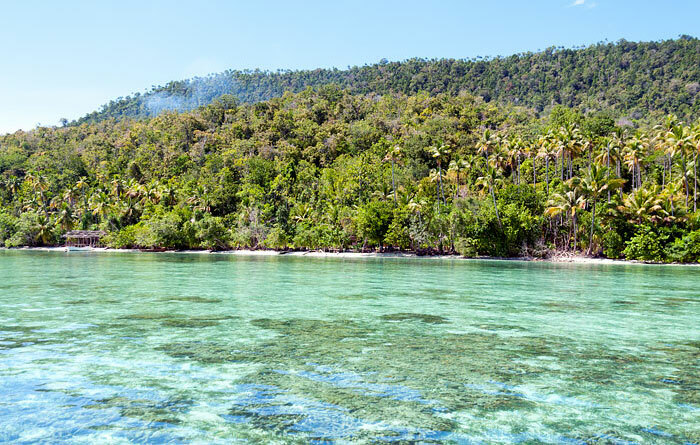 There’s no way to safely dispose of inorganic rubbish on Kri (or anywhere else in Raja Ampat) – waste disposal is a big and as yet unsolved problem in the islands. Nobody speaks English at Nyanpun Amber Homestay, so bringing a phrasebook will help ease communication if you have no Bahasa Indonesia. 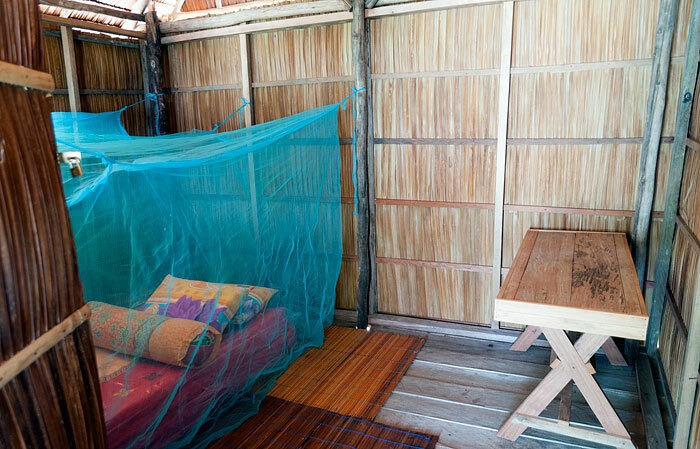 Transport between Waisai and Nyanpun Amber Homestay costs IDR 750,000 each way. Transfers are by speedboat capable of carrying 8 people and the cost is shared by passengers. 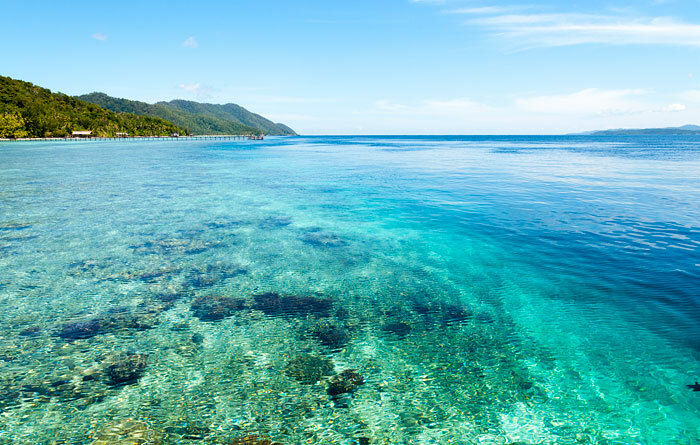 Diving is easily organised at Nyanpun Amber Homestay in association with the nearby dive centers at Koranu Fyak or Yenkoranu. At low tide it’s possible to walk the entire north coast of Kri, cross the sandbanks to Yenbuba at Mansuar and then continue along the north coast of Mansuar to Yenbekwan village. 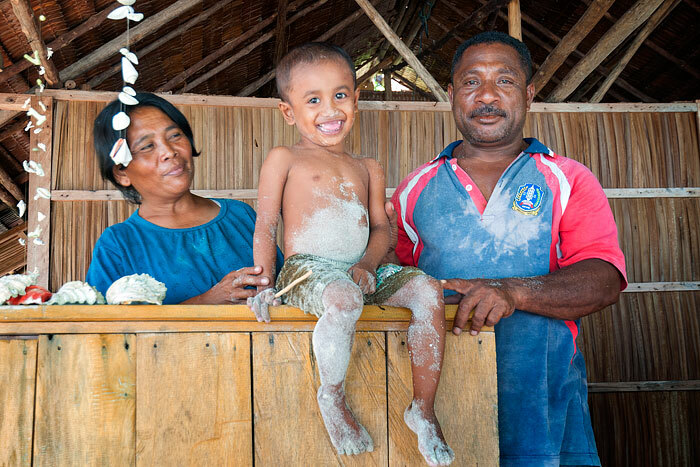 It takes about an hour from Nyanpun Amber to Yenbuba – be sure to time the tide well if you want to return on foot! On days with an early morning low tide you could cross to Mansuar, continue to Yenbekwan and then cross Mansuar to Sauwandarek on the south coast. 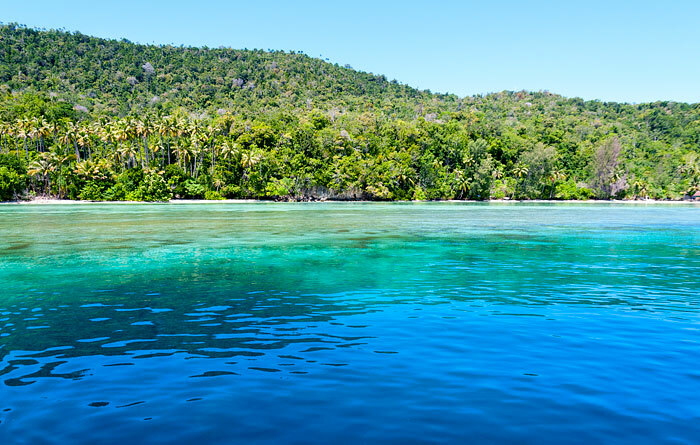 There’s good snorkelling all along the north coast of Mansuar and also at Sauwandarek. There’s a lake in the middle of Mansuar on the way to Sauwandarek as well. You’d need to arrange a pickup from Sauwandarek for your return. 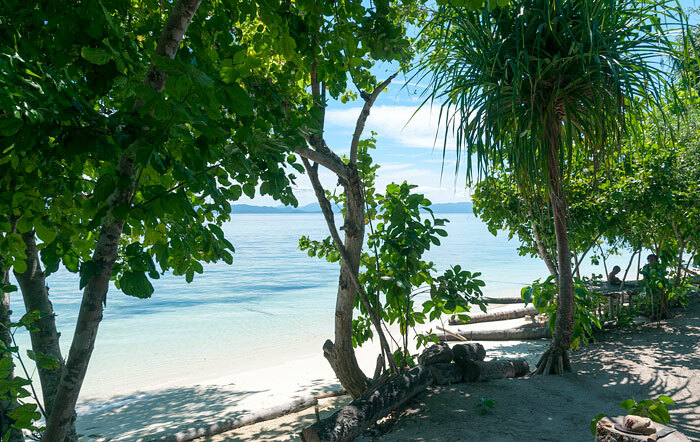 There are also shorter jungle trails on Kri that climb to the island’s high point from which fabulous panoramas to the south, west and north can be had. I just stayed 11 nights and was the only guest. Friendly and helpful hosts. Food is quite tasteful and plenty enough. Mostly fish cooked in various ways. Also tofu, tempe and eggs. The bed is a fairly soft, thin mattress. Basic furniture. Very clean. Homestay is fairly basic and not quite as fancy as some of the other more expensive homestays on Kri. Electricity generator is switched on from about 7pm to 11pm. They also have just received new solar panels so can have a bit of lights on before the generators are turned on. Did not see any rats at all. The location is a bit of a plus and minus. There’s no inland path towards the left of the homestay.. so you have to go on the beach. On high tide that means wading at chest-height. On the plus side it means that you get very few people walking past the homestay.. I was doing non-stop diving from Wobbegong shop and I was picked up by the dive boat when its high tide. Low-tide, 10 minute walk to the shop. 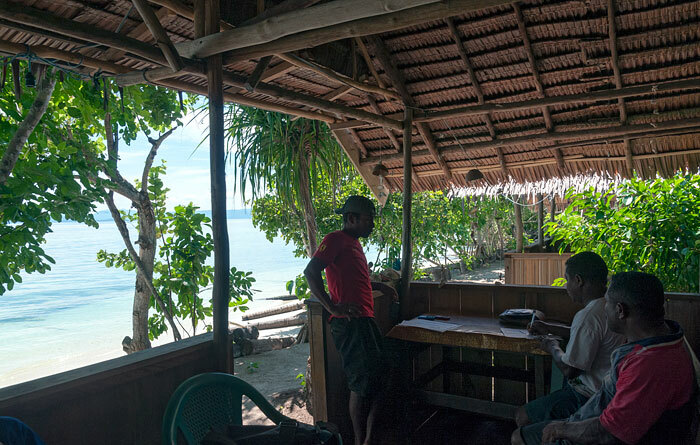 Since this is a very small and somewhat remote homestay, organising trips and activities with a boat wouldn’t really be practical. Go to the bigger homestays for trips and even then its not easy getting enough people. It took me 10 days before I managed to get on a trip to Piaynemo. Decent Telkomsel 4G reception available. I was picked up on time at Wasai as expected. 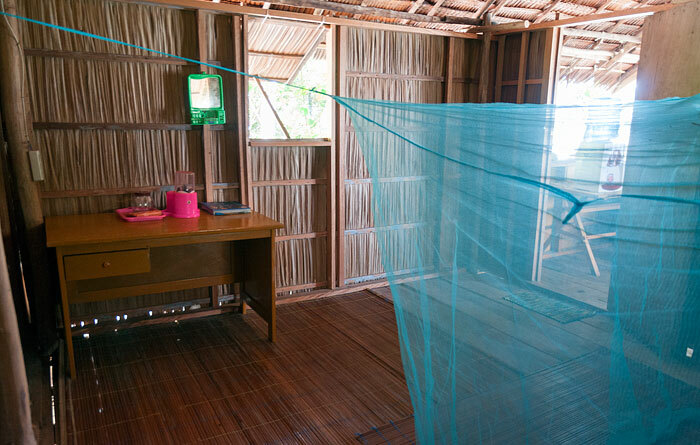 The best homestay on the island! Perfect for the minimalist couple! Beautiful location. Suitable for any diet, including vegetarian and vegan options. I booked 5 night and paid them, despite stayed only 4, they asked me to pay in advanced. I was there last june 2017. 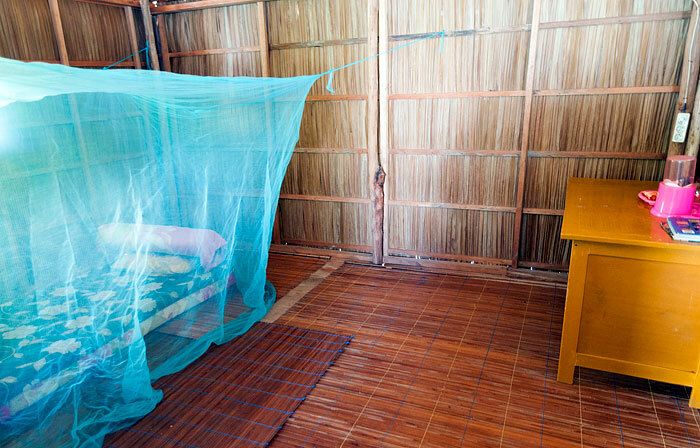 Bungalows are very basic, not expect comfort, but clean, the mattress are from low density foam. Food was basic few vegetable and tempeh, I’m vegan. If you need fruit better you bring them, they did not provide any kind of fruits during my stay. Breakfast usualy is something fried, banana or donuts, nothing healthy. To snorkel you can go to nearby jets owner by others guesthouse. The beach is fine and clean to swinming during high tied. At night is very peaceful after they turn off the generater. Friendly people. Stayed at Nyanpun Homestay with my two children for 3 nights in early Sept. The homestay is very lovely, clean bungalows and toilets. Food was ok, however even though we paid upfront for all three nights to buy enough food supply etc, we were served only plain rice with boiled eggs at one point. Other meals included fish and/or veggies. Kids were starving though after a day of snorkeling. Pak Laurens is very nice, but seldom at home, so it was difficult to arrange any boat trips. 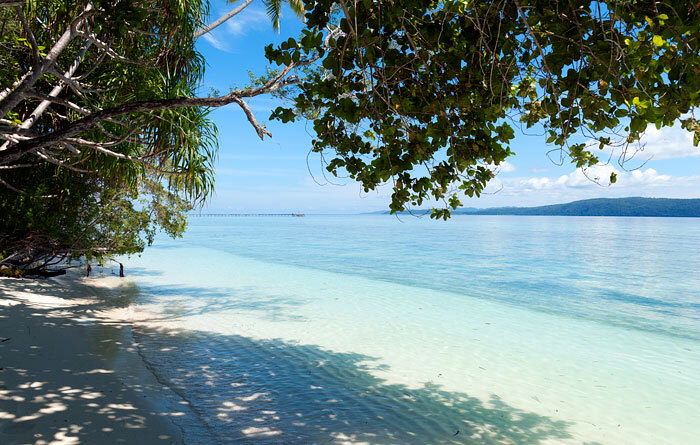 The snorkeling around the homestay is nice, keep snorkeling or walking along the beach towards Mansur island which is beautiful and you can cross over on low tight. 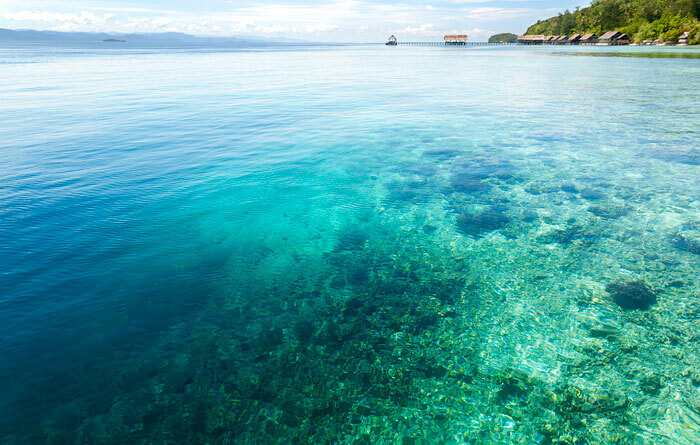 The snorkeling on Kri was the best compared to other islands. All in all a lovely stay, just needs some small improvements. Very good service and very good food here. There is fish in every meal. Cooker has creative in cooking food and very good taste too. Lovely Homestay. Clean room and comfortable bed. Tasty, good quality food. Arranged snorkeling trips and enjoyed long beach walks. 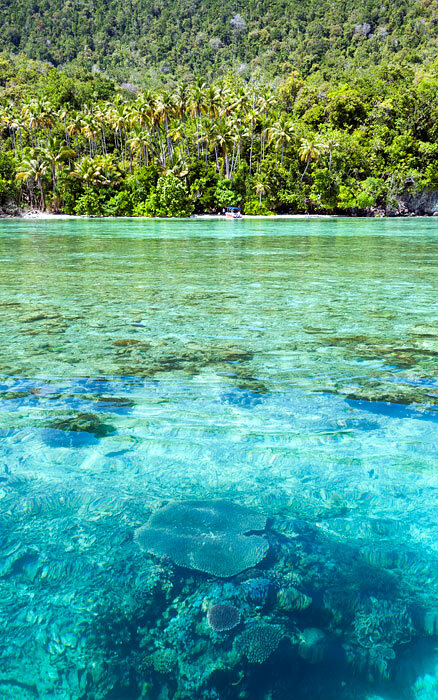 I’ve planned to go to Raja Ampat in April 2017. May I ask a question. How about this homestay? Is it clean? And how about food? Yes, Nyanpun Amber meets all the criteria for membership of the Raja Ampat Homestay Association. You can read more about what to expect here. We were very happy to stay in nyanpun amber,all families in very well. I stayed in this home stay four days. Only two rooms, I were the only guest and I had the feeling of Robinson. 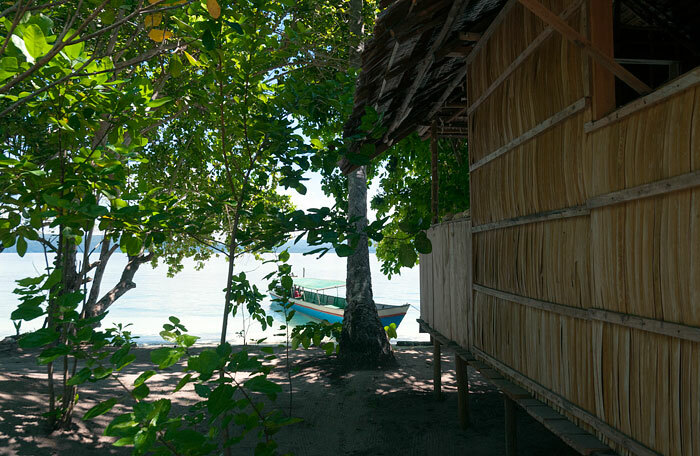 The homestay has wonderful beach and is next door neighbor of the two diving centers. I felt like I really had my hideaway experience as the same time had my diving need sastified . If you want a bit social, you just walk to neighborhood there are many divers there ( Yenkoranu, you walk a long the beach). 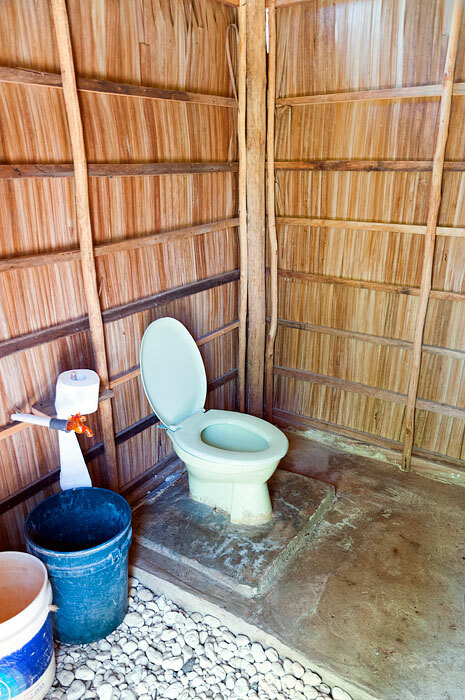 If you want to be privacy, just walk back to your Nyapun amber hideaway. The standard room is better than Yenkoranu because it has shared western toilet. The electricity on the whole island is powered by diesel generator. Electricity started from 6 pm. It is very costly. So if you sleep at 10 PM. You can tell them to turn off electricity at 11 pm and they will be happy to do so. The food is excellent and plenty of fish. The owner is not very good in English but he will understand what you say. He has an nephew next door, who English is better and normally come to say hello in the late afternoon, you can tell him if misunderstanding. You need to send English SMS to book before you come. Or you may ask someone speaking Indonesian Bahamas to him by phone. 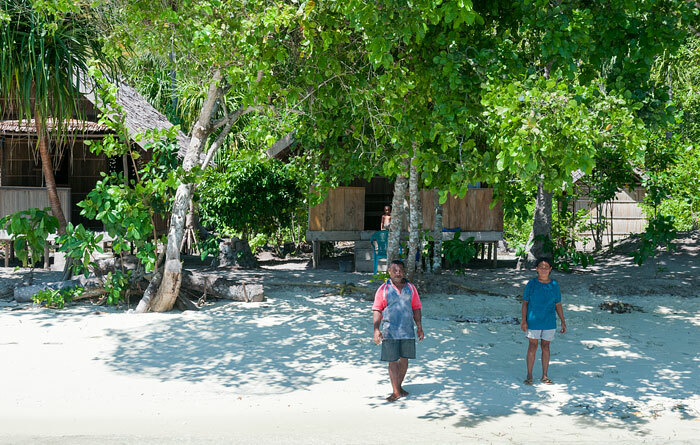 On the habour of Waisai, you can ask boat man Paul Brother +6282198892428 to take you to Laurent house on Kri Island. Cost is 150k rupiah 1 way. There is no wifi in the homestay but the signal is good for telkcomsel Simcard. 100k rupiah for 4GB and you connect with the world. 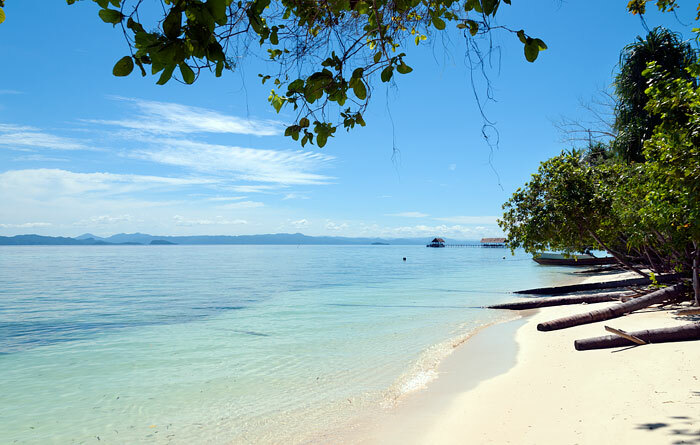 I will definitely come back this homestay to enjoy the feeling of being hideaway in a pristine clean white soft sandy beach, and enjoy diving in Raja Ampat.